CSF prides itself on releasing the latest technology available! CSF 3842 is a very unique GM Combi Cooler! This new model combines both a Radiator and a Transmission Oil Cooler. It fits both the Chevrolet Silverado 1500 and the GMC Sierra 1500; get yours today! 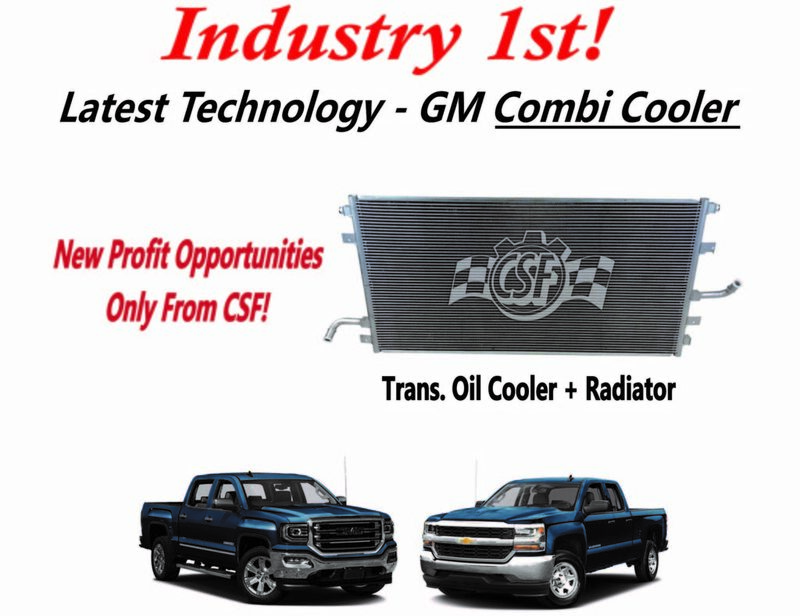 The Cooling Experts at CSF Radiators offer a wide array of cooling solutions for most popular makes and models. From radiators and condensers to intercoolers and hybrid inverter coolers for electric vehicles we have you covered through all the stresses and pressures of the road. This entry was posted in General, Industry First. Bookmark the permalink.